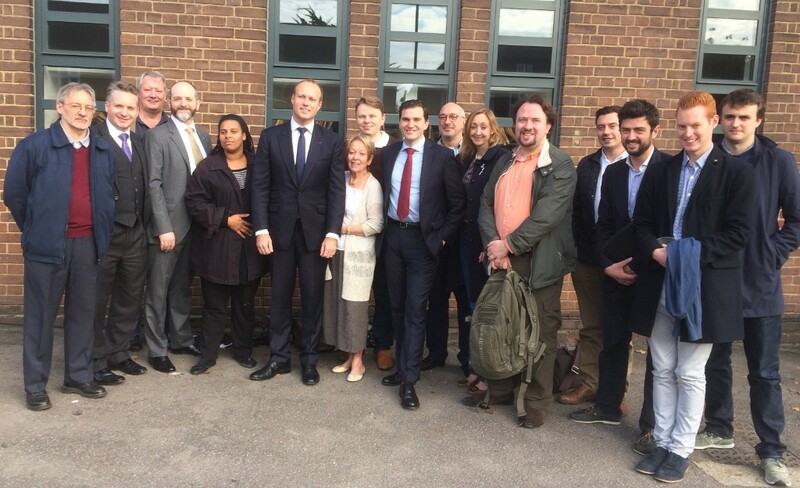 Dan Thomas – pictured above with the Camden Conservatives – was today selected to be the Conservative candidate to represent Barnet & Camden on the London Assembly. Dan is the Deputy Leader of Barnet Council. While Barnet is more suburban than Camden, we face many of the same challenges – but Conservative-run Barnet has responded to them far better than Labour-run Camden. While Labour cut weekly bin collection in Camden, the Conservatives are preserving them in Barnet. While Labour threaten to close libraries in Camden, the Conservatives are extending library opening hours in Barnet. While Labour raise Council Tax in Camden, the Conservatives have cut tax in Barnet. While Labour foist skyscrapers on Camden, the Conservatives are regenerating Barnet’s high-rise estates with higher-density low-rise – like the one Dan and his wife live in. Having been instrumental to delivering these results in Barnet, Dan is in a good position to help show the way for Camden in City Hall. By contrast, Andrew Dismore has done absolutely nothing for Hampstead – indeed, he’s done virtually nothing for any of Camden. Dismore made it abundantly clear in 2012 that he was only standing for the London Assembly to spring back into Parliament in Hendon in 2015, having been forced out over his expenses in 2010. Well, now that hasn’t happened – he was thrashed in what was supposed to be “Labour’s easiest gain” – he wants another bite at the cherry and another chance to leave Camden without an active constituency Assembly Member for four more years. With Dan as the Conservative candidate to beat him, Camden has a chance to finally elect an Assembly Member that stands up for them. Best of luck, Dan!